As a kid, I used to love campfire cookouts, and not just for the s’mores. 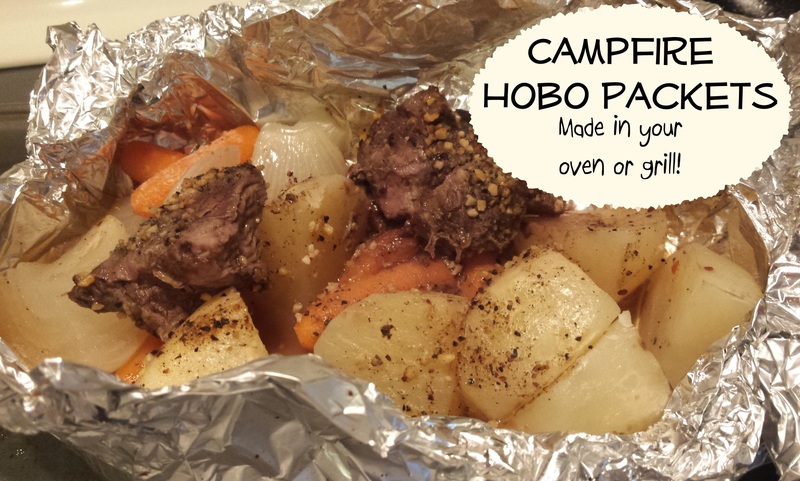 I really enjoyed the campfire foil packets of beef, potatoes and carrots cooked in the fire’s glowing embers. I remember them made with hamburgers or hot dogs, and your kids might prefer if you made theirs that way, though this recipe calls for beef steaks or tips. To make this a Dukan Diet or low carb recipe, skip the potatoes and add more onions instead, and you won’t miss the spuds. Tear four large pieces of aluminum foil and lay them out flat. Spray each sheet with olive oil. 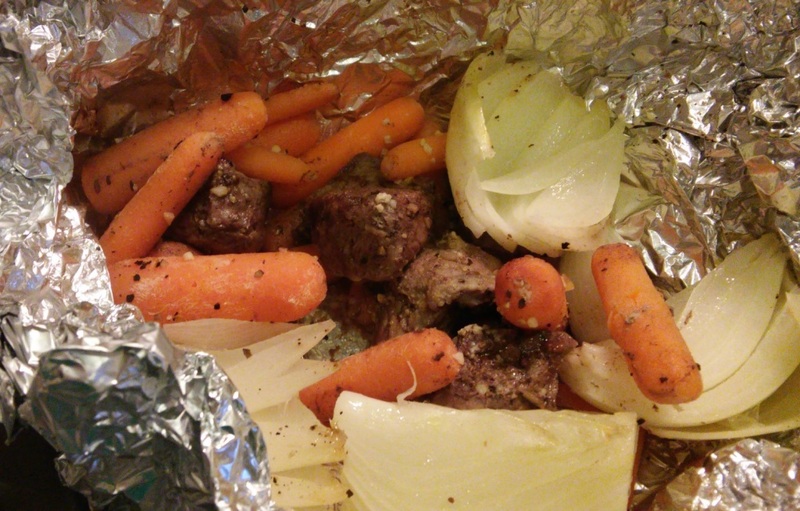 Divide the beef among the four pieces of foil and season with steak seasoning, salt and pepper. Add the onions, potatoes and carrots, dividing them among the four sheets. 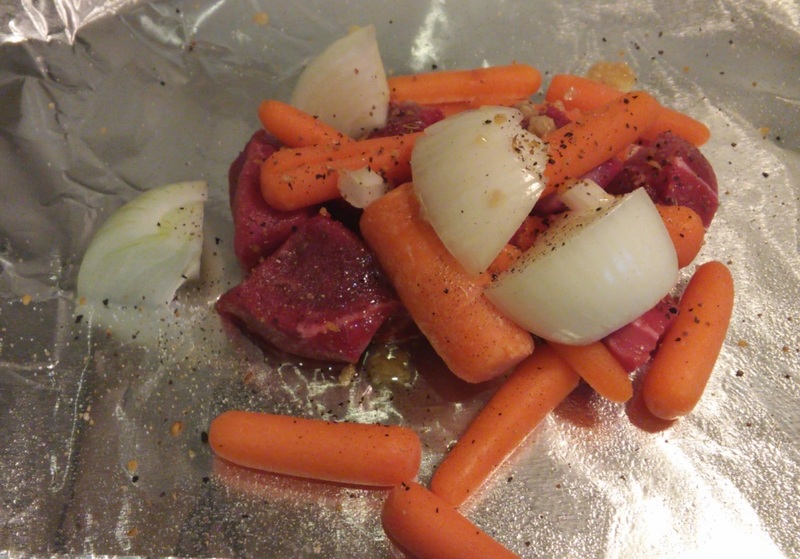 Shake some salt and pepper on the veggies (to taste) and add 1/2 tsp garlic to each pile. Drizzle about a tsp of olive oil on top of each pile of meat and veggies. 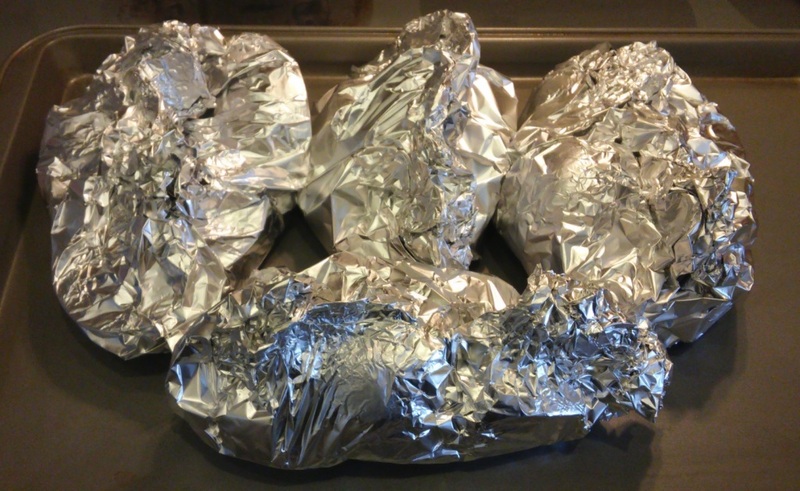 Fold up each piece of foil tightly into a nice little bundle to avoid any fluid escaping. Bake in a 350-degree oven or in a grill for 35 to 45 minutes, until the meat is cooked to desired doneness and veggies are tender. If you’re baking them in your oven, I recommend placing the packets onto a nonstick cookie sheet with sides, rather than directly on the oven rack. This ensures that any leaking fluid doesn’t make a mess in your oven. Open the packets carefully while wearing hot mitts on your hands to avoid steam burns and enjoy! Have you tried Zulily for great clothes, shoes and more?